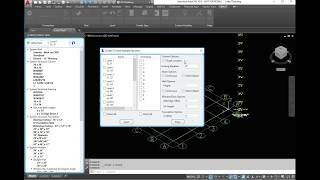 For the first time, LINKo7 makes it possible to link Autodesk® AutoCAD® to Autodesk® Revit®. 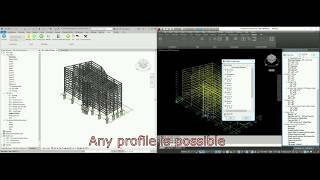 Model in AutoCAD with real Revit family data and view it in Revit instantly. If you use Revit, you typically use AutoCAD as well. Many, if not all Revit users need AutoCAD to do additional work. Indeed you can import and export between Revit and AutoCAD but is the transferred data native to both? The answer is NO. It is time that both great programs could communicate directly with each other with their native objects and families. LINKo7 is the first software that allows you to do exactly that. Revit is very powerful in BIM while AutoCAD is great for quick modeling with much fewer restrictions. Why not make them communicate directly through a common protocol which they both can understand?. LINKo7 provides the basis for this powerful concept and paves the way for more applications for you to be more productive and lower the cost of your design process. AutoCAD is fast and easy to use. Use it to create real BIM in Revit.10 times faster and much easier. If you want to migrate your AutoCAD 2D projects to Revit, LINKo7 helps you to exports all your AutoCAD 2D objects including XREFs into Revit's native 2D model lines and curves.